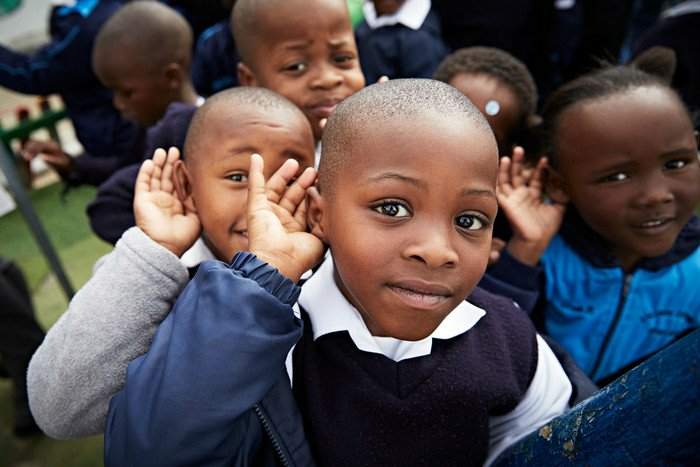 In order to make hearing care accessible for people on low incomes in South Africa, the Hear the World Foundation and the start-up HearX test the hearing of 10,000 children by the start of 2019 with an app. One of South Africa’s biggest challenges is the huge gap between rich and poor and the lack of access to medical care for people in need. In order to close this gap, the Hear the World Foundation is working closely with the start-up hearX Group, which developed an app for non-professionals to conduct hearing screenings. The aim is to screen the hearing of 10,000 children by the start of 2019. Furthermore Hear the World is donating hearing aids for 88 children in need diagnosed with hearing loss. The South African government introduced a mandatory hearing-test program for schoolchildren in 2012 but its implementation is not progressing as planned due to a lack of experts. On average, there are only 2.4 audiologists per 100,000 inhabitants in South Africa, compared to 16.4 in the UK. Moreover audiology equipment is prohibitively expensive for the country’s public authorities. hearX Group, a South African startup, has addressed this problem by developing an app that can be used by non-professionals to conduct hearing tests. The hearScreen app is designed so that screenings can be carried out without knowledge of audiology using only a special smartphone and headphones – with only minimal training. Another of the app’s advantages: it reduces the cost of the hearing tests by 50 to 70 percent. Detecting a hearing impairment is very important for a child’s development. 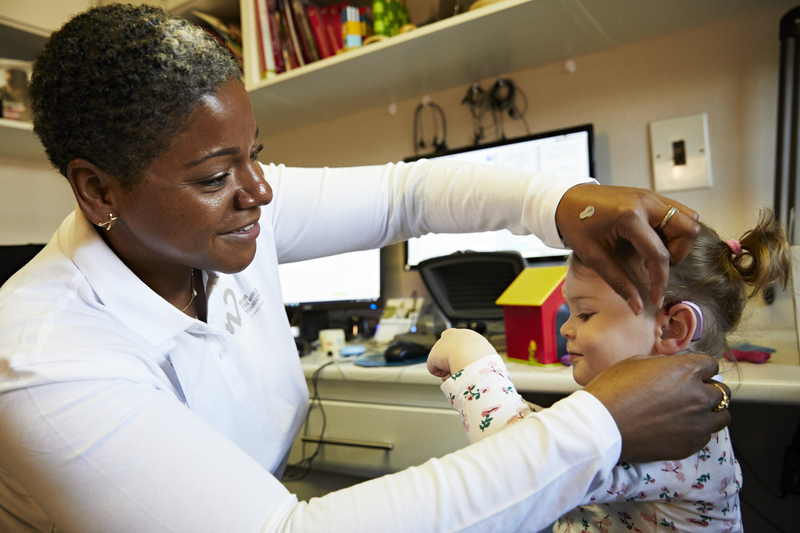 The earlier hearing loss is diagnosed and treated, the better chance children have of developing to their fullest potential. If hearing loss is not treated, children have considerable difficulty learning to speak. They cannot follow what is happening in the classroom as they should – and in some cases they cannot attend school at all. The consequences for children from low-income families are dire, since they face a life of disadvantages and social isolation. Early detection and timely treatment of hearing loss are at the heart of the HearSouthAfrica project. By March 2019, the hearScreen app will be used to test the hearing of 10,000 children in need living in townships near Cape Town and Pretoria. The app has been used in several underserved townships since July 2017: Soshanguve, Refilwe, Mamelodi, Atteridgeville, Eersterust, Laudium, Hammanskraal and Tembisa near Johannesburg, with around 1.4 million inhabitants, and Khayelitsha in Cape Town, with around 2.5 million inhabitants. Another goal is building capacities for audiological follow-up care. The hearing tests are conducted by community workers, residents of the townships themselves. They know their way around, are able to assess potentially dangerous situations and speak the local languages. Their commitment to HearSouthAfrica means a lot to these individuals, allowing them to contribute to their community and overcome unemployment. After a short tutorial on how to use the app and the headphones, they are able to perform the tests themselves. If a child is diagnosed with hearing loss, a second test with the hearScreen app is carried out to confirm the first result. If a child fails both tests, he or she is referred to a local audiologist. If the government health program is unable to provide the child with hearing aids within a reasonable amount of time, the Hear the World Foundation temporarily lends them to the child. This ensures that youngsters in need are provided with hearing aids as early as possible and that their development is not delayed due to extended waiting times. For the past years, the Swiss Hear the World Foundation has supported the project by funding the screening project, providing hearing aids and sending volunteer audiologists specially trained for working with children. The aim is for the South African government to take over the project in the future. In July, moreover, 88 children in need received hearing aids. A team of four pediatric audiologists volunteers, all Sonova Group employees from around the world, flew to the Carel du Toit Centre in Cape Town for four days. The nonprofit audiological center is another partner of the project. It offers hearing tests, hearing-aid fittings and speech therapy for disadvantaged children. Gregor Meyle, German singer-songwriter and ambassador for conscious hearing, also travelled to South Africa with the Hear the World team. 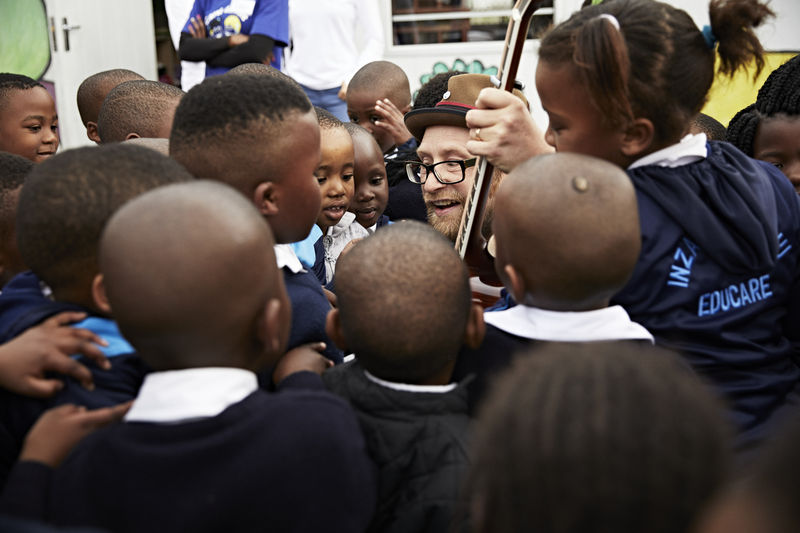 Using the hearScreen app, Meyle himself carried out hearing tests in Khayelitsha – and sang and made music with children with hearing loss. His mission was to use his irrepressible joy in music to inspire the children to continue developing their language skills – and thus give them hope for the future. To ensure the project’s long-term success, the team, in collaboration with Professor De Wet Swanepoel of the University of Pretoria, is systematically collecting data from the app. Using the research results, the team wants to convince the South African government of the project’s importance and demonstrate how crucial it is to help children develop in an age-appropriate manner.